Experienced information technology executive returns to regional leader in managed I.T. services. "My experience in the channel gave me a valuable experience and perspective. I expect to leverage this to give NetGain Technologies and our clients a competitive advantage." NetGain Technologies is excited to announce Tucker Oldham has been hired as president of sales for its Louisville branch. Last with SoftwareOne as a channel manager specializing in software licensing, this move will mark Oldham's second tenure with NetGain Technologies. 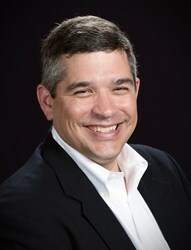 Previously, he served as NetGain Technologies’ senior account executive for nine years. "It’s great to have Tucker back on the NetGain team," said Mark Jacobson, NetGain Technologies' president and CEO. "Tucker brings a wealth of knowledge and experience. He has a deep understanding of multiple technologies and their role in business. He’s spent his entire career in the Louisville market. We look forward to his leadership and contributions." Oldham indicated major growth plans for NetGain Technologies in the region. "I'm excited to be back at NetGain Technologies,” said Oldham. "My experience in the channel gave me a valuable experience and perspective. I expect to leverage this to give NetGain and our clients a competitive advantage." NetGain Technologies has experienced significant growth acquiring a branch in St. Louis last May marking its fourth acquisition in 4 years. Founded in 1984, NetGain Technologies is a leading provider of the design, procurement, implementation and support of high-performance IT solutions. With services ranked among the best in the world by MSPmentor and technical expert certification rated top 50 nationally by CRN Tech Elite, NetGain Technologies has 6 branch offices across 5 states. Over 1,000 unique clients have leveraged NetGain’s best-in-class service and support programs.